This exception occurs when to try to run or load a class which is compiled in another version of java. A version of a class file is determined using major and minor version number which is stored in class file format(java class version = Major.Minor, for example if the minor version is 0 , and major is 49 then version will be 49.0). 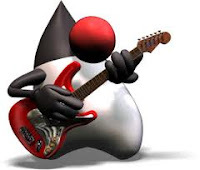 JVM can support only those classes whose version is in the range.Simply put , jvm will not support classes which are compiled using higher version of jdk than this jvm. Could not find the main class: Test. Program will exit.